Silly Question: What is the Role of Your Business Budget? Is it fulfilling that Role? It was a tiff between two people in a client’s business that prompted this question. One was the business owner (let’s call him Al), and the business manager (Bill). Bill had done the right thing, in my view, he’d taken the time to review income and expenditure for the previous month against budget, and comment on the variations. Al didn’t disagree with the figures, but as owner, had a different perspective on the variations. In essence the difference was about how rigidly variations from budget should be treated. I won’t go into the details, but one of the issues that needed to be resolved was a better understanding of the role of the budget in their business, and how to use it to fill that role. Let’s go back to tors and look at exactly what a budget is. Your budget should not be a meaningless document that you prepare just to say you have one, although I’ve seen this. Your budget should be the course you have decided upon for your business, an expectation of what you want your business to achieve. The budget is something that is compared to actual results to determine variances from expected performance, so that you can make informed decisions. Your financial statements are a picture of the past; your budget maps the road ahead. Mixed metaphors I know, but you get the point. Financial statements are lag indicators. They measure what has happened, where you have been. Your budget is where you want to go. Budgets usually represent a detailed analysis of how a company expects to spend money in future time periods, and the returns from that expenditure. It should reflect how you expect your business to perform, financially speaking, if the strategies, events and plans you have prepared are put into action. You do have such strategies and plans, don’t you? How are you using your budget? So you need to compare your lag indicators on a regular basis, what has actually happened, with the results you planned to happen. Note the word “regular”; you don’t want the lag to be too great, otherwise you could be well off your planned road to the future. And that is where “variations from budget” come in. Inevitably, both from a revenue and an expenditure viewpoint there will be positive, and negative, variations. Detail is important in both Costs and Revenue, not just the bottom line. I’ve always been keen on identifying what a business’s offering contribute in terms of both Sales and Gross Profits, and the market segments which from which they come. I call it a Customer/Sales Matrix. This is a powerful tool, particularly when measuring Gross Profit. It helps you pinpoint opportunities for improvement both in what you are offering the market, but also those customer groups where action will be most effective. Not all budget variances indicate a negative business situation. If budget variances occurred due to unexpected growth in sales revenue, you may need to increase the budget amounts for future sales increases. Such increases will also explain increases in expenses, particularly variable costs. They may also reflect the results of increased or improved marketing. It's why I’m keen on regular reporting so we have information from which you can make informed decisions. I wrote about this in “Can you see the Way Ahead”. If your strategies and plans are not working, then you want to know as soon as possible, not three months after the end of the financial year. You want to know early enough to take action to get you back on the right path. Which leads me to another important question: “Why is it so?” When you have variations from budget it is important to understand why such variations occurred. Having detailed information, not just a broad-brush comparison helps here. But it also means reviewing those strategies, events and plans, how they were executed, market conditions, and a whole range of internal and external factors. Beware the “Three Blind Mice” Syndrome – “Don’t worry, be happy”, ignore the problem and hope it will solve itself. It’s so easy to fall into the trap of using external factors as a convenient excuse for not taking action. Another powerful tool to use is TRENDS. One month’s variation may be an anomaly, but three months can show a serious trend. It may be positive, it may be negative, but trends give you a very clear message. Finally, the real secret to any business budget is its (and your) ability to be flexible. If revenue falls below target, you need to know what changes can be made to the budget to help bring it back on track quickly. While an initially well-structured budget is the key to achieving your financial goals for the year, the reality is that they require constant tinkering at regular intervals, as revenue and expenses fluctuate. What if you don’t use your Budget? If a strategy or plan is working well, producing sales and profits, then you will probably want to take advantage of this, and build on it. If not, it just becomes another missed opportunity. Budgets are not set in stone. They need to be reviewed and adjusted where necessary to reflect changes in conditions, strategies and plans. Having the flexibility, through spare cash and an ability to cut or increase spending as needed, along with a determination to stick to your budget, are the best moves you can make to ensure your business reaches its profit goals, continues to grow even during changing economic conditions, and most importantly remains viable well beyond the current financial year. And that is just what Al and Bill are doing, being flexible, but recognising that they need to be guided by their budget if they are going to take the business to where they want it to be. How are you travelling against your budget? When clients approach me for coaching, clients with businesses that are underperforming despite the crippling hours and effort the owner is putting into them, it is not just marketing that is holding them back. It is the lack of control they have over their business, and eight times out of ten that lack of control comes down to a lack of knowledge of what is happening in the business. Very often that is because they have not adopted a rigorous budgeting process. They don’t treat their budget seriously, nor review it regularly. And if they do, variations are not thought through. Four spaces available next month – I have four spaces for a business assessment this month. If you would like to avail yourself of one, and there is no cost – this is my gift to you, book a Strategy Consult here. 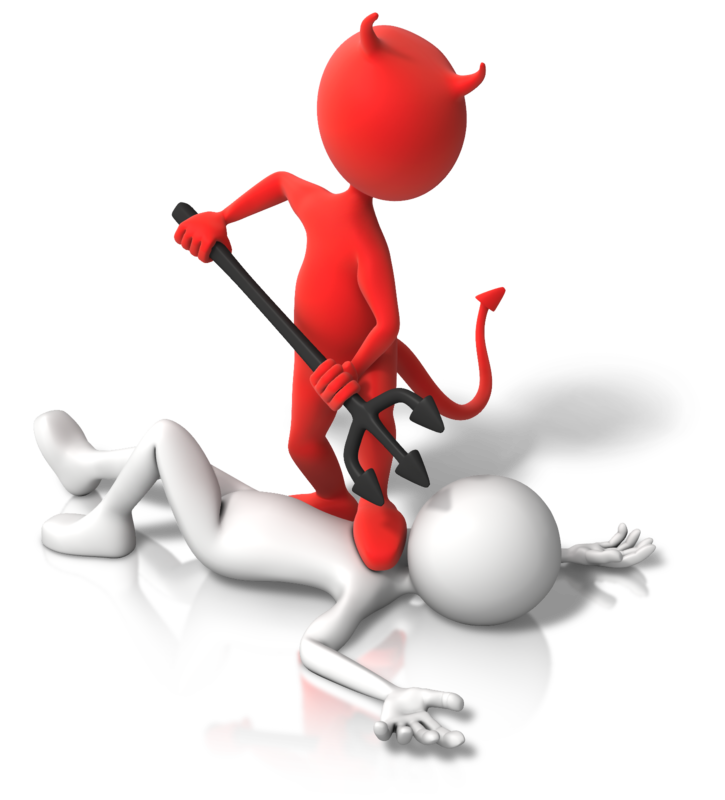 Is your business in Commoditisation Hell? If so, how do you get out of it? There’s a feature of many of today’s youth that you will have noticed. They like to be seen to be different. So they wear their caps backwards. It’s not practical of course; it doesn’t shade their face, or keep the sun out of their eyes. And it doesn’t make them different from their mates, because they do exactly the same. So many small businesses follow the same approach, they like to believe they are different from their competition, but they don’t want to be seen to be too different. Whether it’s with their products, presentation, their promotion, and especially their pricing they instinctively seek to conform to the norm. They become a commodity, with all its inherent problems. Has the term “commodity” ever been used to describe what it is you sell? Do your customers say “I can buy the same widget down the street, or online, for less?” Or how about your sales team, do they believe the only way they “can sell this stuff” is if you get them a product at a cheaper price? If so, you’ve found yourself in commoditisation hell, and that ensures one helluva profit leak. If a lower price is your only weapon, then you're a commodity not a brand. And there'll always be someone willing to race you to the bottom. But when you're a brand you don't have to have the lowest price. In fact, you can often charge a premium for your product or service. And customers will beat a path to your door to pay it. So how do you get out of, or even better, avoid getting into commoditised hell? You need to create a position where continually lower prices are not your only weapon to win against the competition. Dan Kennedy put it well: “Price is the #1 way you can spearhead dramatic improvements in PROFIT in your business. Price is the path to stored value, hidden and overlooked opportunities, and even personal liberty for business owners”. You have to create the position where you can charge such a price. Promotion, in all its forms, is one tool to use to create such a position, but it has a downside. You can tell people you are different, but if your offering is no different from the widget for sale down the street at half the price, they will soon wake up to you. Advertising will only fool people some of the time if your product or service doesn’t have better value. Marketing hype is no way to fight commoditisation. The difference must be real. As the old saying goes: "good, fast, cheap - choose any two". Offer the customer a choice. Those caught in commodity hell offer only one – cheaper. Being “good”, or rather “better”, and “faster” in delivery will enable you to charge the kind of price Dan Kennedy talks about. Where do you start? You need to determine what “good/better” and “faster” means for your clients. Anticipate your customers’ needs better. Solve the problems they are not yet aware of. Offer something the market wants that the competition is not offering. Then pricing is not the only factor a customer uses to make the buying decision. Better usually means better value. Determining which offering provides better value is the process a prospect goes through, usually subconsciously. They assess the benefits your widget brings to them, minus cost the cost of acquiring it. You need to know the benefits your prospect values most, provide that, and then add further value. So how do you deliver faster? You could put everyone on skates; the sight would be interesting (as would the site) but I suspect that wouldn’t work. There’s no need to make people work faster, or harder. Rather, improve the processes by which you meet your customer’s requirements, and reduce the cycle time. Improving business processes is best undertaken as an incremental activity, a series of small steps. If you want to solve all the problems in your business in one giant step that WILL take a lot of time, time that you don’t have. There are no silver bullets in improving businesses. Reducing the number of steps in a process – one client reduced the number of steps in a process from 15 to 8. Think of the savings that achieved, and how much faster they could deliver. It also meant more savings and their people freed up to do other things. Eliminating areas of error and rework, reducing waste; more productive use of time and materials. Doing jobs with a completely different process – this is where investment in your IT and communications become important. But you must take action. Taking action is the real difference between those in commoditisation hell, and those in a much better place. The problems lie in the dark recesses of the business, unseen and un-resolved. Illumination is provided by knowledge of what is happening in the business, and how to respond. One space left –I have only one space left for a business assessment this month. If you would like to avail yourself of this, and there is no cost – this is my gift to you, book a Strategy Consult here. Do you make it easy for customers to buy? That may sound like a silly question, but when we re-located nearly eight years ago to an old family haunt, one of the features of local business that rather surprised me was the number of local businesses that refused to accept credit cards. I would be told to toddle off to an ATM and come back with the required cash. Image the number of people who would decide it was all too hard, and continue toddling, never to come back? The gross profit that toddled off would be far greater than the 1-2% foregone from the credit card transaction. After all 2% saved on nothing is still ….. nothing. Cost of acquisition – repeat customers cost less money to acquire. Think of your promotional dollars, usually aimed at getting people to come through your door. Repeat customers know where your door is, and what they are going to find. That’s why they come back. And here's a thought about discounts - discounts cost you money. Some businesses offer specials to make a sale. Good businesses offer specials to gain a customer. Referrals – word of mouth is the most effective form of promotion, worth far more than endless promotional campaigns. People believe their friends, and a repeat customer is highly likely to tell others where and why they bought something. Size of purchase – the initial purchase may be small, that’s why on-line marketers offer small products as “lead magnets to get you ‘through the door’, but as the customer’s confidence in you grows, the size and frequency of their purchases grows. You may or may not want to offer credit but the more options you can give the customer to pay the more likely they are to buy. The list of widely used payment options is not long. On-line you can use credit and debit cards: Visa, Master Card, American Express and Diners, or PayPal. Offline you have EFTPOS for the various credit cards, direct debit plus of course cash or cheque. I continually scratch my head in bewilderment when I find businesses preferring to save the transaction fee on credit cards rather than make the sale. You haven’t saved anything if you have lost the sale. If it is harder to do business with you than with your competitors, guess which way the customer will go. And you not only lose the customer, you lose their repeat business. What is “saved” in transaction fees will be dwarfed by the lost opportunities. What other cost-cutting measures cut sales? Fixed costs – the more you can lower your overhead or administration costs, the more you reduce the break-even point for your business. And once you are past breakeven, the more profit you will make each year. See "How to bring forward your breakeven point". Cost of Sales – if you can reduce your Cost of Sales while retaining your price, obviously your Gross Profit will improve. And as I keep repeating, it is not the volume of Sales that determines your profitability, but the volume of Gross Profit. 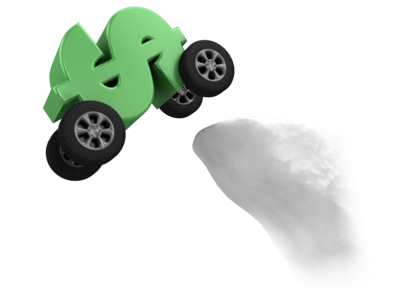 For more on breakeven and its importance see "What is breakeven and why is it so important." But as Paul Lemberg suggests “There are tons of proven ways to lose sales by making it extra hard for customers to buy from you. Mostly these are just bad decisions people make to limit expenses, but they are almost always short sighted. They repel good customers, and not only for the all-important first sale, but for all the otherwise super-profitable recurring sales as well. 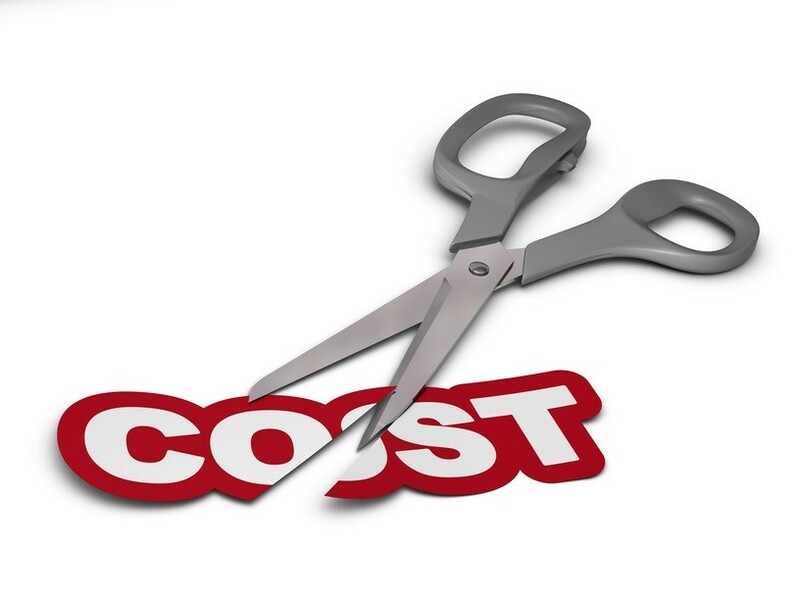 Cutting costs which make it more difficult or off-putting for the customer can be cutting of your nose to spite your face. Cutting staff – now I know people are your biggest expense. They are often around 50% of more in many small businesses. But customer service is a critical element in customer loyalty. If numbers have to be reduced, look for ways to compensate and improve the customer experience. Shipping and handling costs – yes, they can be genuine, but they shouldn’t be loaded. Overcharging shipping and handling to make an extra dollar is cheapskate. Make your margin on a good product. You can even use shipping and handling to increase sales, as Amazon does, offering free delivery if you buy an extra book. Some businesses offer free shipping to make it easier to win the sale. I can’t find what I want – you go into a business, or online, and you can’t find what you want. It’s very off-putting. Online, the easiest thing to do is to click away to another site. Offline, clear signs, well organised, well labelled merchandise makes a big difference. Even a small change in the question your staff asks customers can make a big difference. Instead of the off-putting “Can I help you?”, try “How can I help you?”. Make dealing with you a pleasure, not a pain, and build loyal customers and repeat business. Is your business travelling as well as it could, and should? Two spaces left –I have only two spaces left for a business assessment this month. That’s what comes to mind when I hear people espouse marketing as THE solution to a business’s lack of income. It’s part of the solution, a very important part, but it is not the complete solution; there’s a missing piece to the jigsaw puzzle. And that is sales; the skills to turn a lead into a sale - to close the deal. 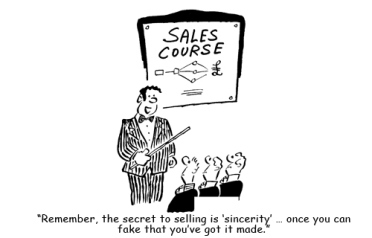 There was a time when sales was an honoured profession, but then somehow the term “salesman” became somewhat downgraded, even slightly sleazy, associated with shonky used car salesmen, or real estate – with apologies to both those honourable professions. Businesses need both, so let’s examine their respective roles, and how you can use them. But first you need to understand that marketing, like sales, is not what it used to be. Focus Marketing on the Marketplace - If marketing were supposed to focus on your product, it would be called “producting.” But it’s not is it? It’s called “marketing,” which means that marketing is supposed to focus on the marketplace. That is important; you are not selling to everybody, but to those most likely to buy. So marketing is about identifying your most likely customers, determining a compelling marketing message that will persuade that customer to buy from you, and not that competitor, and gets that message in front of them. Marketers see themselves as generating the leads for sales people to convert. It involves advertising, PR, segmenting, distribution, pricing and so on. We were taught the 4 Ps of marketing were Price, Promotion, Product and Place, and all strategies arose out of how you combined and used these. An early lesson I learnt was that if a different strategy was required, you were targeting a different segment. But it doesn’t make the sale. And that is where the complications begin. As I discussed in “Two Problems in How People Now Buy” the essence of the problem is that people no longer rely on magazine and other advertisements, at least to the extent they did, to find what they want. Nor do they wait for the sales rep to call. Salespeople have lost control of the process. Buyers are now researching online, instead of calling salespeople to discuss their problems and suggest solutions. These days, buyers don't want to see a rep, or step into your business, until maybe the last 20 percent of their buying process. To get to the point, if you need to grow, or if you are going through a down period, to turn to “marketing” to solve the problem is not the solution, at least not by itself. You need to know whom to sell to, and what ticks their boxes, but you also need to know HOW to sell. Your team needs to know, and be able to implement effective and practical sales skills, to have a thorough grounding in the essential knowledge, skills, & mindsets needed to sell effectively. • A sales system of core principles, skills, tools, templates, processes and models that lead to sales success. Whether you are versed in marketing as it was, or as it is now, you still have to make the sale. Marketing leads the horse to the water, but the sale makes it drink. Three spaces left –I have only three spaces left for a business assessment this month. Have you ever found yourself lying in bed in the early hours of the morning, when you should be sleeping deeply, girding yourself for the day ahead, and wondering just what you can do to get your business back on a growth path? A path that will put cash in the bank and relieve of those worries that are keeping you awake at night. Here are seven steps you can take to grow again and generate cash and profits. 1. Focus on the 20%, not the 80% - I’m sure you’ve heard of the 80/20 Rule. You will win 80% of your profits (and sales) from 20% of your customers. They will be buying from you more frequently and in larger amounts than other customers. They do so because you meet their needs; solve whatever business, personal, emotional problems they have. They trust you, and believe they have developed a relationship with you. You can waste a lot of your promotional dollars and effort by no focusing, by trying to target everyone – after all, you don’t want to miss a potential sale – forgive the sarcasm, but I come across this belief so often; that there’s some magical marketing message that will resonate with everyone possible (not potential) customer you have. It doesn’t work like that; your product offering must satisfy the needs of your most likely customer, not your least likely customer. For a different take on this, read Does your marketing tail stretch to the sea? Be very clear about who your target market is. Once you do that, you’ll cut your wasted marketing expense to zero and start getting maximum return from all your marketing. 2. Make sure WHY they should buy from you is very clear. You must have a real point of difference with your competitors, something that makes you stand out, something that your likely customers really value. It’s your USP, your Unique Sales Proposition, or Unique Value Proposition. I’ve written about USPs and how to develop them before (Does your message get your prospect’s attention?). Without that, how do you persuade your prospect to choose you or to change suppliers to you? Of course, to develop your USP you must know which prospects you are targeting, you must understand them, their wants, needs, and desires. If you are still competing with other businesses, then your USP needs work. Create a USP that makes your business the clear and only choice for your customers. 3. Develop offers, bundle products, but don’t compete on price, compete on value. Bundling is packaging a group of products together and selling them at a price less than the customer would pay if he bought them individually. This is often used in Travel industry and computer sales. Instead of offering additional products at full prices, the customer is offered additional products or services at a discounted price. The objective is to use the discounted price to encourage the customer to increase their purchase and increase the volume of Gross Profits (that’s what pays for all those Overheads), but at the expense of % Gross Profit. This add-on product can be either given away or sold. Even if you give away the add-on product, it's better than giving a discount on your main product. Now be aware that the bundled products need to be priced, or else they have no value in the eyes of the customer. 4. Sell to Groups - When given the choice between selling to an individual, or selling to a group, the majority of salespeople choose to sell to the individual. But when you sell to groups, you can significantly increase the return you achieve. What do I mean by sell to groups? 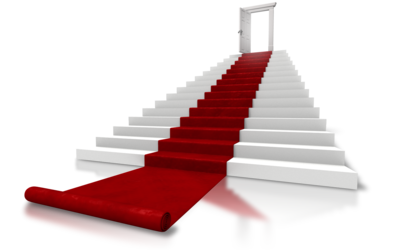 Have you ever been asked to make a presentation to your local Chamber of Commerce, or other such organisation? That’s a group to who you are, in effect, making a sales pitch. And then there are seminars you organise, training workshops which can lead to “Can you help me with that?”. Don’t forget the increasing popularity of webinars; they enable you to reach out to an audience well beyond your local market. Those webinars can be recorded and rerun. The opportunities are endless. Social Proof – All the individuals in the group are reassured knowing that others are there exploring the solution to their own problem. It validates that they are like others, and not some strange freak of nature. Social proof is very powerful. When you get good at selling to groups you can make significantly more per hour. 5. Use email marketing well - It might surprise you that email marketing is still one of the most effective tools you can use to win customers. Surprise you because we flick aside most of the constant stream of emails we find in our Inbox. But if you research the experts, and I do, you’ll find the opinions are to the contrary. Now I know you’ll worry that you will lose your list if you send “too many” emails. Don’t – I addressed this fear in “How many emails are too many”. Research tells us that email marketing is still the number one way for businesses to communicate directly with customers. But you have to do it well. We all suffer from too many emails in our Inbox. It’s a competitive world, so your email needs to capture attention, and hold it. Too many people just whip out an email without working on an attention grabbing subject line, an opening paragraph that draws the reader in, and a compelling message that leads to action. And then there is the sequence; one email is unlikely to get the result you need when you are trying to make a sale. I used a three-email sequence. So learn the fundamentals of crafting compelling sales emails. Poor email messages will alienate your list—sometimes permanently. 6. Resurrect the dead - Have a resurrection campaign to restore ‘dead’ customers; previously good customers who have inexplicably dropped off the perch. Bring the dead back to life; this may involve gifts or special offers. It should acknowledge that they haven’t used you for a little while, or that maybe you have done something that discouraged them. Apologise and what you can do to repair the relationship. Give them a reason to come back. And when they do return, send them a personal thank you note afterwards to remind them that they are valued customers. 7. The road to success is paved with good information. So often in a business you can’t see the way ahead because of the fog around you, a lack of illumination on what is happening in your business, as I wrote recently. Good information disperses the fog, and gives you a clear view of your world. Doing one of these things will increase your income. Doing all of them could make a tremendous impact. Pick one or two to start and once you’ve implemented them, move on to another one (or two) on the list. When clients approach me for coaching, I find they are almost always a business with a problem, a problem that if not fixed, will see them go out of business. They usually have “business”, although frequently not enough, but often it is the wrong business, less than profitable business. Often they lack a management mindset, and lack control over their business. Eight times out of ten that lack of control comes down to a lack of knowledge of what is happening in the business. Not knowing how to write emails that sell is another factor. For more than 28 years I’ve been helping small business owners plug the profit leaks in their business and restoring their cash flows by assisting them understand the information they need to have control over their business, how to manage and analyse it, and how to answer that critical question – WHY IS IT SO? There's Something Wrong with This Business! What Makes a Bad Business? Have you ever walked into a business and immediately thought “this is a good business”, or “there’s something wrong with this business”? Many years ago when I worked in manufacturing industries I found I could do that. I’ve been out of manufacturing for a long time, but over the last twenty-eight years I’ve used that instinct across myriads of small businesses. Of course, it doesn’t always happen; maybe I missed something, maybe it was just an average business, doing enough the hang together. All of which led me to think about what makes a bad business, a bad egg, with the suggestion that the reversal of these things makes a good business. You know your product or service ticks all the boxes, but you haven’t actually surveyed your customers to get their views. Are you relying on verbal asides, but haven’t captured them? Now I’m not looking for statistical certainty here, but rather collecting sufficient views to give a picture, or suggest a trend. When doing business plans, I always do a customer/client survey to find out how they perceive the business, and its offering. Your opinion may not be the best one, and the response often surprises my client, and provides a valuable input into the planning workshop. In “Ready, Fire, Aim” Michael Masterson advocates getting your product into the market place as early as possible, and then continually tweaking it in response to customer feedback – “release your product early, and release it often!” Then it will start to tick the boxes. You are Chief Cook, and Bottlewasher! In other words, are you trying to do everything yourself; manager, marketer, operator, bookkeeper. If you are, have you the time to do it all properly? That leads to late nights and working weekends; not good for the family, or yourself. It leads to stress. And are your skills appropriate for all these roles? The other side of this coin I have discussed several times (You may have been caught in this trap? ), (How do you get your business working for you? ), (Are you really in Business?) – not having the time to work ON the business. The point is you can’t do everything yourself. You need a good team, one that can keep the business running well if you have to take a business trip, or even that well-earned holiday. That doesn’t mean employing a lot of people. Yes, you will need more employees as you grow, but are there tasks which can be sub-contracted, outsourced, or even off-shored (More Disruption, but more helpful). 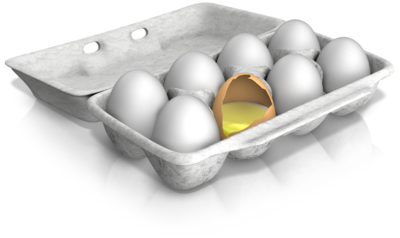 You don’t stand out in the market - How often have I been told that “that’s not the way we do things in this industry?” If you are not different, how will you stand out from the crowd? You can always stand out by being very bad at what you do, but there is little value for the customer in that, and even less for you. Do one thing really well – become the GO-TO business in your market. Part of that positioning is your pricing. Undercharging is not sustainable. There is always a market for a product or service that provides higher value to the customer, and a higher margin for you. Constant testing and tweaking as I suggest above will help you find that value point. Compete on quality, expertise and what you do really well, instead of price. Is customer service an afterthought – I’m sure you’ve been in a situation where you have said “I’ll never go back there again”. I know good customer service is a cliché, but businesses that really look after their customers do well. Appreciate loyal customers who show you there is a demand for what you do. There is no dollar amount you can put on brand advocates. Good will translates to loyal customers. People don’t leave companies — they leave management. This lesson goes for both employees and customers. 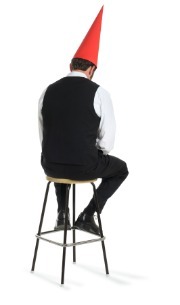 A manager will lose staff if the employees think they’re not being listened to or valued. Customers will stop using your products or services if they are dissatisfied with them. The quality and reliability of your products and services is a reflection of management. One of signals I pick up for good and bad businesses is the demeanour of employees. It doesn’t matter whether they are shop-floor or office. If they look cheerful and happy then there is a good chance the business is being managed well, and if managed well, it will be a good business. Presentation of your business matters. If it is well presented, neat and tidy, then again it is likely is well managed. This also connects back to the staff. Happy staff are unlikely to allow their workplace to be a mess. This applies to the building, to the shop-floor, to the offices, to vehicles, and to how staff are presented. It’s an old saying, and maybe even a little trite, but it is worth thinking about. First of all, not having business starts with not having sales. Without sales, you don’t have business. No customers, no business. It’s like standing on a street with your cap held out, hoping someone will drop some money into it. Business starts with a sale. So that leads to ….. having a product or service that someone wants to buy. And they will only want to buy your product or service if it solves a problem they have, or meets a need. Standing on that street with your cap held out doesn’t solve many potential donators problems, or meet many needs, unless it is a need to be generous and give – the charitable nerve. It is a good idea to do some research and test the market, before you fully commit to “business”. As Mark Ford says in “Ready, Fire, Aim”, trial your offering, and keep improving it. What you have may not meet the mark, so find out what is required before you fully commit. It doesn’t matter what you think. You should only be doing what your customers want as they are the ones who are paying you. And there must be sufficient numbers of such people to sustain your business. In others words, is the market big enough? Sigh, more research. It is certainly not enough to rely on “Streakers Defence”, i.e. it seemed like a good idea at the time. But of course, there is yet more to the business you need to have, to avoid going out of it. It must be profitable business. Inevitably there are a number of strands to this, and they relate to the price you are able to charge, and your costs. Now the bloke standing on the street doesn’t have many costs to operate his “business”, he doesn’t have a minimum price either. He’s not able to say “nothing less than $5”. He’s a price taker, not a price maker. There have been many words written about pricing, both from a marketing and from a financial point of view. For some reason, those writing from one viewpoint rarely take into consideration the other’s view. You certainly will go out of business if you don’t get it right. Positioning is the first. The price you set determines your position in the market. It can make you just a commodity, seemingly no different from the competition. Or it can set you apart, suggesting that your offering is not just different, but better. Mind you, it had better be both, or you will be quickly found out. Gross profit margin is the second. It must recover all the direct (i.e. variable) costs incurred by that offering, then through the volume you sell, cover all your overhead/administrative costs, and leave sufficient over as your profit. In the end, it is not the volume of sales you make that is critical to the sustainability of your business, but the volume of Gross Profits those sales provide. Small business is just that – small. You don’t have the reach of big business, the ability to generate a large volume of sales at low margins. You must generate the profits you need from the volume of sales you are able to generate. Now to your costs. You need to know your true Cost of Sales; all the costs directly incurred by the offering you make. Now you might buy it in to resell, you might manufacture the product, you might repair something, or it might be a straight service. Whichever, there will be costs which you wouldn’t incur if you weren’t selling that offering. And this is where I have a beef with our accounting friends; they prepare your books for statutory purposes, to determine the amount of tax you need to pay. And naturally they set out your Chart of Accounts to make that as easy as possible – for them. They don’t set out you Chart of Accounts to make it as easy as possible – for you. You want management information, figures that will help you make informed decisions. So often when working with clients I find variable/direct costs allocated to Overheads/Fixed Costs. So the business does not know their true Cost of Sales, or what is their real Gross Profit. It doesn’t matter from a tax viewpoint, but it does from a management viewpoint. Whether they be Direct Costs, or Fixed Costs, you certainly need to ensure that you that you don’t incur Unnecessary Costs. If you do, you might have business, but still go out of it. When clients approach me for coaching, I find they are almost always a business with a problem, a problem that if not fixed, will see them go out of business. They usually have “business”, although frequently not enough, but often it is the wrong business, less than profitable business. Can you see the way ahead? Are you in this situation? All’s well in the world; you have plenty of work coming in, and money in the bank to pay the bills you have. So many of us travel like that; we operate on a day to day basis, the sun is out, the sky is blue. We assume that the work coming in will meet our cash flow requirements. But what if there are problems ahead, around the next corner on the road we are travelling? We can’t see ahead, there’s a thick fog blanketing the road, we can’t see where we are going. We look at the dashboard; we know how fast we’re travelling, and how much fuel is left in the tank (bank), but not much more. One problem with focusing on the job in hand is that we lose focus on promoting our business, and the ongoing sales we need, particularly if Murphy strikes, and the job in hand requires extra attention and effort. But there is more to that fog around the corner than that. Have you ever been in a very thick fog; “like a giant eraser moving indiscriminately to eradicate what was once there into something that's not”, it blankets you, you lose your sense of direction, you have no clues on where you are no matter which way you turn, even sound is deadened, “swallowed by the greedy beast”. Is your business like that, you don’t know where you are, how you are travelling, or even whether you are heading in the right direction? The road to success is paved with good information. Good information disperses the fog, and gives you a clear view of your world. And that is the problem we have in our business. We don’t necessarily have a clear view of what is happening. Sometimes the problem is pretty obvious, like a leaking tap. A particular line or activity is obviously costing you money. If we can see it, we can do something about it. But what about the times when you don't know profits are leaking. You don't know until you get the quarterly, or half yearly or, even worse, the annual figures. Because by then, it is too late. The profits have leaked. Sure, you might then plug the leak, but what is gone is gone. Are there aspects of your business which are not doing as well as they should? Hidden leaks. Are you in markets which don't perform as well as others you could be in? Is your level of enquiry slowly declining, and what about the success rate of quotes to sales? Do you know your true Cost of Sales? If you don't, I’d be willing to bet you are not covering all those costs, and are writing them off against overheads, not recovering them against the sale. The problem could be anywhere. So here are some clues about information which will help disperse the fog, but not in any particular priority. Hopefully one or two of them will really resonate with you. 1. Information enables you to make smart decisions about how to grow your business. 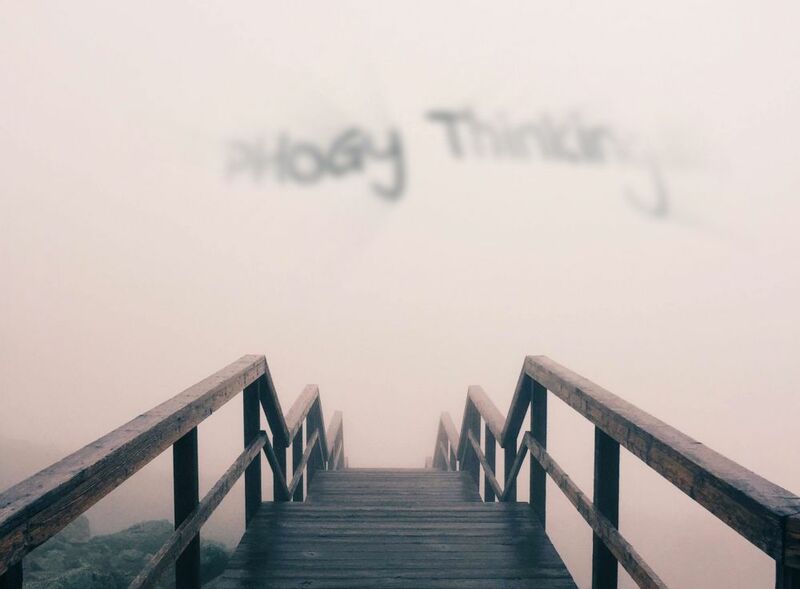 Relying on PHOGy thinking (Prophesy, Hearsay, Gut Feelings) is one thing, but studies show informed decision making is more likely to be right. So is the information you need available; I'm looking at more than just KPIs. 2. Do your financial statements give you the information you need to lift the fog? Studies show the less regularly you review and analyse these, the greater the probability of business failure. 3. How do you know if your current business strategy is working and viable, if you haven’t the right information? If you are not growing each month or if you have profit leaks, it is important to find out quickly so you can make some changes before it is too late. 4. Information certainly helps cash flow management; knowing what is coming, and when. 5. Spending money and effort on activities, products and services that just don’t contribute is a waste; the 80/20 rule always applies – 80% of your sales, and profits, will come from 20% of your products and services. And the reverse applies. Wouldn’t it be useful to know which they are? So pave the road to success with good information, and you won’t be fog-bound. When clients approach me for coaching, clients with businesses that are underperforming despite the crippling hours and effort the owner is putting into them, it is not just marketing that is holding them back. They so often lack a management mindset, and lack control over their business. Eight times out of ten that lack of control comes down to a lack of knowledge of what is happening in the business. Are you flying by the seat of your pants? Have you ever watched an aircraft cockpit scene on film with the pilot and co-pilot going through a checklist in preparation for take-off? 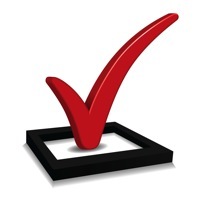 The checklist is usually mounted on a board or strapped to something. The point is that it is a physical checklist and not coming out of their memory. You might not realise it but those scenes reflect reality. No matter how many times they have done it commercial pilots are not allowed to process the checklist by rote. Checking has to be read from a physical checklist. Commercial pilots have been using checklists for decades. Apparently the practice goes right back to a fly-off at Wright Field, Ohio, in 1935, when the US Army Air Force was choosing its new bomber. Boeing's entry, the B-17, would later be built by the thousands, but on that first flight it took off, stalled, crashed and burned. The new airplane was complicated, and the pilot, who was highly experienced, had forgotten a routine step. Now while you are not flying an aircraft no doubt you have found that managing a small business is far from a simple thing. So much to do, so much to remember. Too often missing something routine can bring you undone. Veteran marketing expert and author Denny Hatch (www.dennyhatch.com) wrote of the importance of checklists in getting your marketing and promotional campaigns right. A pity to spend all that money and effort only to have the campaign fail because something was overlooked. Thanks Denny, there are some very useful, and practical, tips there. Try running one of your recent promotions against it, and let me know how you went. This is sometimes known as the NOW – WHERE – HOW model. You may have been caught in this trap! Just what is your mindset? So many people who start small businesses do. It is getting caught in an operational mindset without a management mindset. 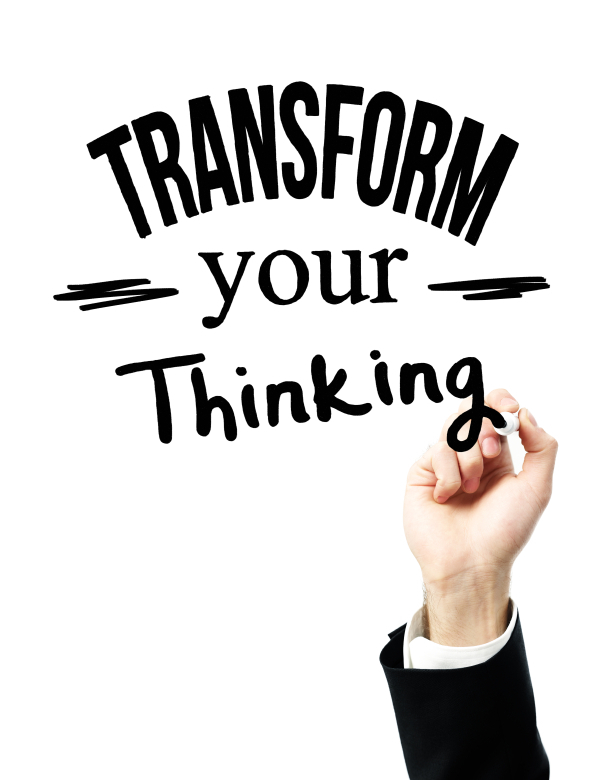 Now that is not to say you don’t need to have an operational mindset in your business; you do, because you have to deliver your product or service. And you have to do it efficiently (i.e. at a cost less than the price), and effectively (i.e. meet customers’ expectations). Why is this important? Let me give you a real life example. I’ve been working with a client which is in this very trap; they’re hard-working, diligent, and it is only through their commitment to their vision that the business is still afloat. They shouldn’t be, but after some years, they are still losing money, supported, indeed funded, by their creditors and bank. They must have concluded, as I did, that this business, and these people, are worth saving. What is missing is a management mindset that operates over the top of the operations, a mindset which sets the direction, the goals which must be achieved, and the measurement of progress towards meeting those goals. The road to success is paved with good information. A management mindset determines what information is needed, and ensure that it is available, reported and analysed. Imagine you are a pilot, charged with delivering a plane load of passengers, from Sydney to Perth. What are some of the things you need to know? • How you are tracking against these variables. The pilot measures his progress through the instruments in front of him. Indeed, that gave rise to the name “dashboard reports” we see in businesses today. People doing the delivery don’t have time, the opportunity, or the tools, to look at these variables. Their job is to deliver. A clearly defined target market or markets backed by a good understanding of the expectations of those markets. This requires both a management and an operational mindset. A sustainable income stream, i.e. both consistent sales and consistent profits from those sales. Management needs to know what is happening; operations need to know how to achieve it. Documented systems and procedures that enable the processes by which the profits are generated. The management mindset of a business requires these, the operations mindset produces them. The operational mindset pertains to the ongoing activities of the business to produce and deliver its offerings. You must do so in a timely manner, and meet your customers’ expectations. Failure to do so, if not corrected, will lead to failure of your business. Where do people who start their own business come from – from an operational skill. Unfortunately, many of the skills you learned in being great at your own job do not translate to being a great manager. As an individual operator, you are judged only on your own work and results you deliver. As an operational manager, you are judged on the results and success of your team. From the other side, if you, as a manager, don’t understand your business operations, and what are the links to its performance, then you might have a management mindset, but will not succeed. If you don’t understand the basics of your business, how it runs and what makes it run, the you won’t succeed. Management has to have a sense of strategy; knowing where to go, and the strategies to get there. But they must also love the numbers. They need plenty of common sense and an ability to derive meaning out of the different ways numbers can be combined or dissected to arrive at the right performance metrics for early warning signals for the business. Knowing your numbers and the different levers that can be applied to them makes you the master of the game. Having both a management and an operational mindset is extremely critical for all business owners. No matter how good you are at framing strategy; it also has to get executed successfully for an organisation to succeed. And this is the challenge for people going into business for themselves; they must develop a management mindset, and learn how to integrate their operational mindset with their new management mindset. To succeed in small business, you need both mindsets, and know how and when to step from one to the other. And that is the next step my client must take; develop a management mindset, and use it.